PlayStation Now is currently in closed beta, but details of the PS4 game streaming service seem to have escaped into the wild. 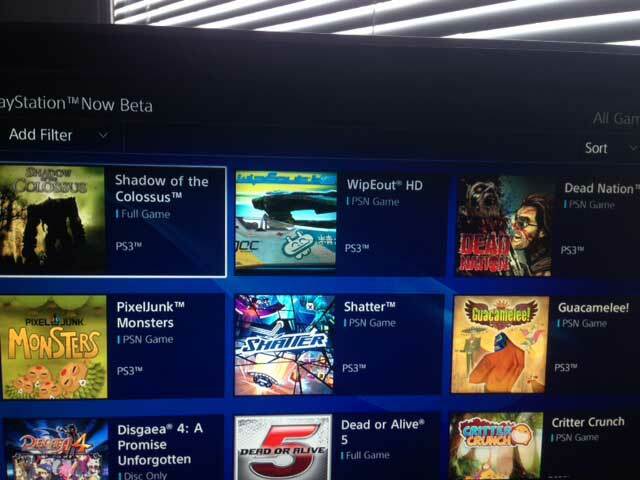 According to an anonymous source cited by DualShockers, which has purported off-screen images of the service, PlayStation Now was recently updated to version 2.0 with a 42MB patch. Some games, such as Killzone 3, Puppeteer, MX vs ATV: Alive, Ninja Gaiden 3 and Papo & Yo, appear to have been removed from the service. PlayStation Now is Sony’s answer to backwards compatibility, allowing you to stream PS3 games to your PS4 from the cloud, but to date it has only been announced for North America, and details such as pricing and launch date have not been confirmed.